Every landlord has a different perspective on how to analyze the creditworthiness of prospective tenants. Some landlords simply look at the credit score and make a judgement based upon that number. Others run a full credit report and carefully analyze line-by-line to get a more comprehensive picture of the tenant’s demonstrated desire and willingness to pay bills on time. Like most other things in life, there are good and bad attributes to each method. For the hectic, time-crunched landlord with piles of applications for a single unit, the simple credit score approach serves a time-saving function that allows them to rate prospective tenants using an ascending/descending hierarchy before taking other attributes into consideration. At the same time, many landlords have learned that investing a little extra time into reviewing the individual applicant’s full credit report can reveal some counter-intuitive discoveries. Take for example, tenants who have struggled to rehabilitate from stresses beyond their control, managing unexpected debts while grappling with job losses and other fiscal challenges. As these tenants begin to turn the tide and get their financial lives back on track, often they vow to cancel credit card accounts and other unsecured lines of credit once they’ve paid off the debt, believing this will improve their credit score. Unfortunately, this is one of the many myths that exists in the vexing realm of credit scores. While paying off a debt and closing a credit account will certainly provide a great deal of personal satisfaction, the cruel irony is that it will very likely lower the prospect’s credit score. Because while tenants reduce their overall debt (which is a great thing for everyone except the credit provider), they also reduce the amount of available credit. Ironically, this may have a negative affect on their credit scores. The actual impact it has on their credit scores is affected by a myriad of factors, including how much credit they still have available to them, and the makeup of their personal credit history. This is just one example of the many myths about credit scores that continues to perpetuate, confusing both tenants and landlords alike. This article from VantageScore exposes several additional credit score myths that can affect what you find when you screen tenants. The moral of the story? A simple credit score does not always paint the whole picture. But the more you understand about credit scores and credit reporting, the better you will become at choosing the best tenants. That may mean speaking more in depth with the prospective renter. It also may require investing more time for a thoughtful review of the applicant’s full credit report. 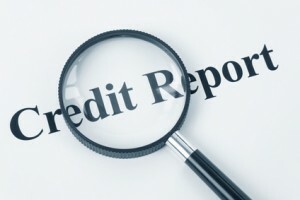 Quite often, the full credit report can tell a story that a simple number will never fully convey. I recently had a prospective tenant that had a credit score of 0. This can happen when someone has had no credit history for the past 5 years. This person cancelling all their credit cards and closed all their loans after a rough period. When calling their references the previous landlords confirmed that they always paid on time. The credit report is only one component of tenant screening and shouldn’t be the sole reason for accepting or rejecting a tenant. I use credit score a lot. I find that not only can you predict payments, but you can predict behaviors as well. I use income to determine the applicants ability to pay, and the applicants credit score to determine the applicants desire to pay. Previous post: Must Landlord Give Reason for Rejecting Applicant?